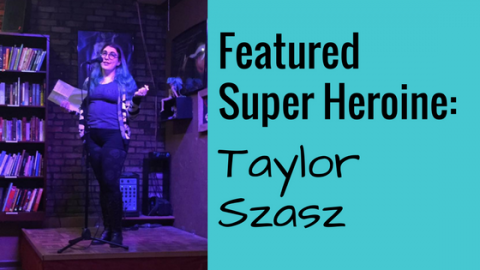 Featured Super Heroine: Mary Wissinger | Super Heroines, Etc. 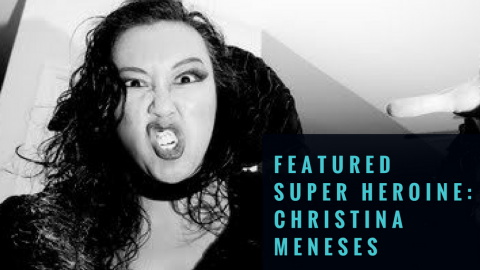 Each month we choose a Super Heroines, Etc. member to feature on our blog. 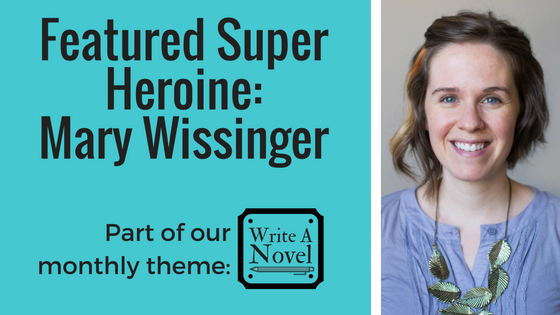 This month we chose Mary Wissinger, a long time SHE member, presenter, and all-around super heroine. Mary is a great supporter of Super Heroines, Etc. as well as an author and creative coach. 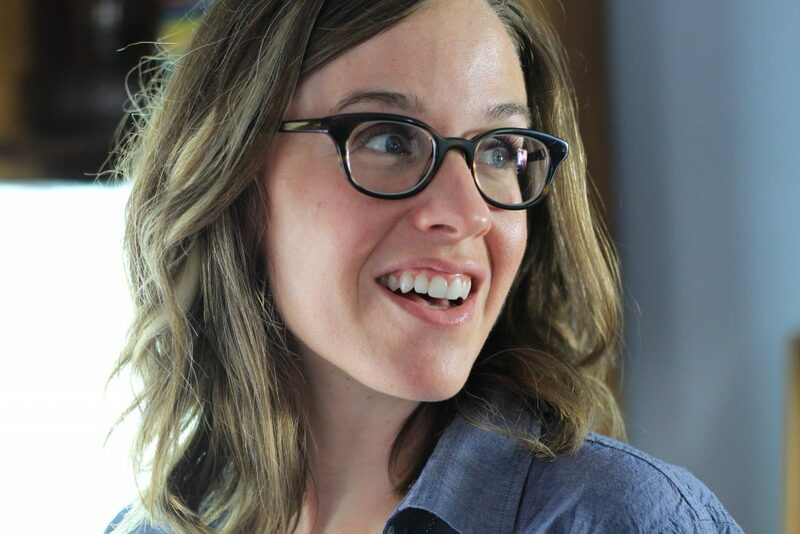 Since this is National Novel Writing Month, we asked her about some current writing projects, including a children’s book series currently on Kickstarter, and advice on surviving #NaNoWriMo. I’m a writer and a creativity cultivator, and I grew up in Wisconsin. When I moved to St. Louis for school in 2004, I really fell in love with the city. Since I’m a transplant, I’ve always been on the look out for cool events and organizations. When I discovered Super Heroines, Etc, I joined right away! I loved the mission and was impressed by how regularly awesome events are held, and by how compassionate and supportive the community is. You have been a Super Heroine for over a year and attended quite a few events. Which one has been your favorite and why? That’s a tough pick! 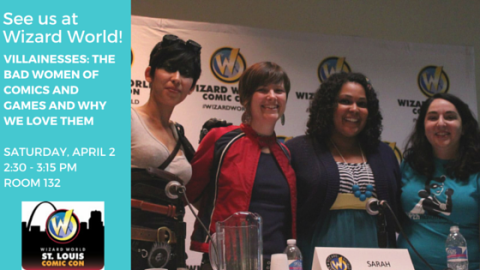 Nerdy Networking provides the most positive and genuine atmosphere I’ve ever experienced at a networking event. The SHE Screenplays event was incredible because it showcased the creative work of many Heroines. I also really enjoyed the Writing Down the Bones workshop – it was inspirational how everyone was so willing to share their work! Reading. I’m usually reading several books at once. Lots of fiction, lots of audiobooks, and the occasional graphic novel – if you haven’t read Saga yet, seriously, get yourself to a bookstore. Movies. I am a big movie fan. Every year, Steve, my husband, and I throw an Oscars party. If you don’t show up with a punned food and an Oscars ballot, you’re barred entry. Kidding. Sort of. Board games. I like cooperative games and what most people would probably call gateway games. Recent favorites include Mysterium, Carcassonne, Sushi Go, and Codenames. TV shows. Mostly comedies – Parks and Rec, Unbreakable Kimmy Schmidt, Bob’s Burgers…I’ve been digging The Good Place so far. And as for BBC things…Doctor Who, Sherlock, or the 1995 Pride and Prejudice miniseries? Yes, please! Classical music. I’ve been singing with the Saint Louis Symphony Chorus for 9 seasons, and if you let me I will talk your ear off about how Bach’s melodies are borderline pop songs, how once I was in an elevator with composer Meredith Monk and didn’t embarrass myself, or why the celesta is the most magical of instruments and so I should probably have one. 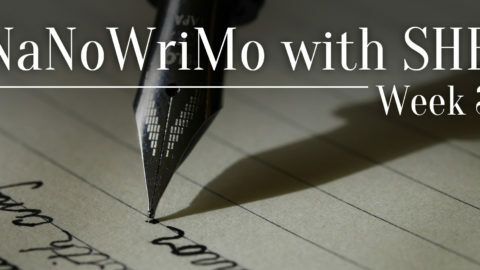 This month’s theme is Write a Novel as part of NaNoWriMo (National Novel Writing Month). You mentioned this is something that you’ve completed in the past, do you have any tips for anyone starting on their first NaNoWriMo? Write for yourself. While it’s tempting to want to write what will become your bestselling novel, that mindset can also be a quick way to censor your wildest ideas and kill your creative energy. Only writing counts as writing. Doing research on writing productivity, story plotting, character descriptions, historical details, or how to survive NaNoWriMo does not count as writing. Those feel like they should count, but trust me, they don’t. Creating and editing at the same time is like driving a car with one foot on the accelerator and one foot on the break. Just write. Edits are for the next draft. Expect resistance. Keep writing even if you think it’s garbage. When you bust through on the other side, you’ll realize that you’re capable of far more than you thought possible. No matter how far you get, give yourself a pat on the back. Remember there are 11 other lovely months a year in which you are encouraged to write the novel that’s in your heart! 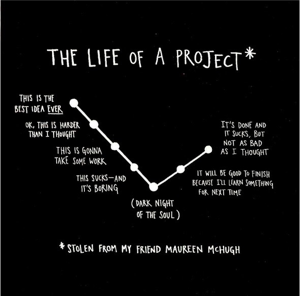 Also, here’s a brilliant Austin Kleon graphic that describes how many people feel when they’re undertaking a creative project, myself included. You are not alone. You’ve also written two novels that are currently in the editing process. 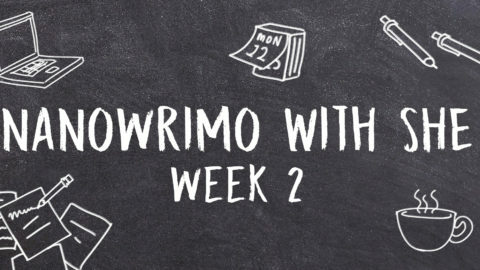 Did you start one of these novels during NaNoWriMo? Could you tell us more about each of the novels? How nice of you to ask! Both are YA projects, and both have a ways to go before they’re ready for other sets of eyes. When I write, I get all the pieces down, but they tend to come out in the wrong order. I’m a big fan of editing! Tava Parker does not deviate from routine, and this keeps her powerful visions in check. But her carefully constructed reality begins to unravel when a mysterious artifact arrives at her door. Tava soon discovers that her only way forward is by embracing her visions and delving into her shadowed history – her seven previous lives. My second novel, tentatively called Waterfall, is still in the works, but takes place on a planet whose inhabitants – those who wield magical power over water and those who can manipulate the land – have been at war for generations. The main character, a teenage girl named Emiyn Aysu, unwittingly becomes entangled in the conflict and must navigate the dangerous space between both peoples. Your company Chin Up Heart Open provides quite a bit of creative classes and activities that people really respond to. Where do you get your inspiration for these classes? And how do you keep yourself creative while helping others be creative? I have been totally floored by people’s excitement about Chin Up Heart Open, and it’s an honor to witness the boldness and creative energy that attendees bring. 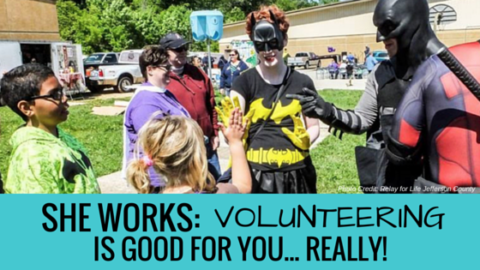 I plan events and classes by finishing the sentence, “Wouldn’t it be neat if…” I design the workshops that I wish someone else would host so I could attend them! It can be a challenge to balance creativity for myself and creativity for others. For me, it ebbs and flows. If I’m planning a class, I cut myself some slack: my own creative output is just going to be lower that week or month. But after the event I get a surge from everyone else’s creative energy, and my output goes up again. 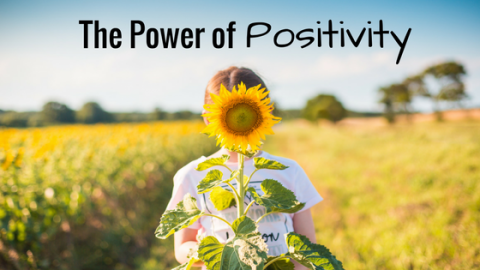 It took a while to accept it, but I’m not a creativity machine…and that’s a good thing! I also make sure that my creative cup is full – building in opportunities to soak up inspiration is important for any creative practice. Folks can visit www.chinupheartopen.com for more info on creative events and why they should do that awesome thing they secretly want to do. You also have a current project on Kickstarter. Can you tell us more about those books and your inspiration to work on children’s books about science? 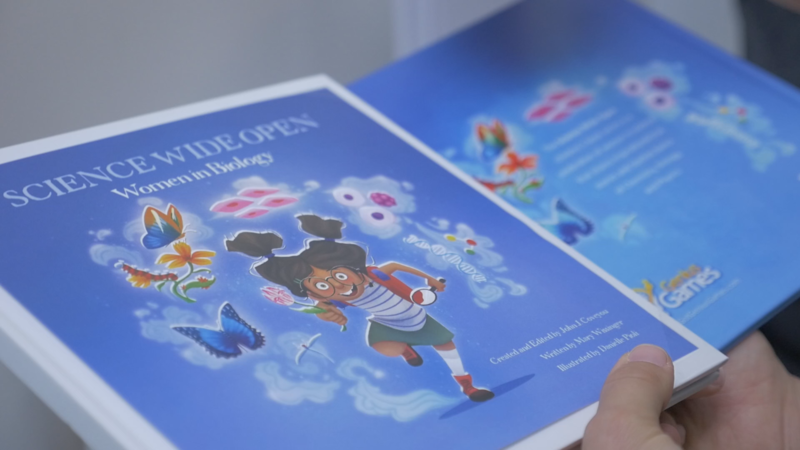 Science Wide Open is a picture book series that celebrates totally boss women in science. It features a little girl filled with curiosity who asks questions about how the world works, and along the way she learns from female scientists who have changed the world. It’s the second collaboration I’ve done with the incredible science game and book company, Genius Games, the first being the My First Science Textbook series for toddlers. It has been a blast to combine the wonders of science with the power of narrative. As I’ve worked on these science projects, I’ve realized that the universe is more full of beauty and mystery than I ever could have imagined – I want to help kids retain that sense of wonder as they move about in the world and tell their own stories.